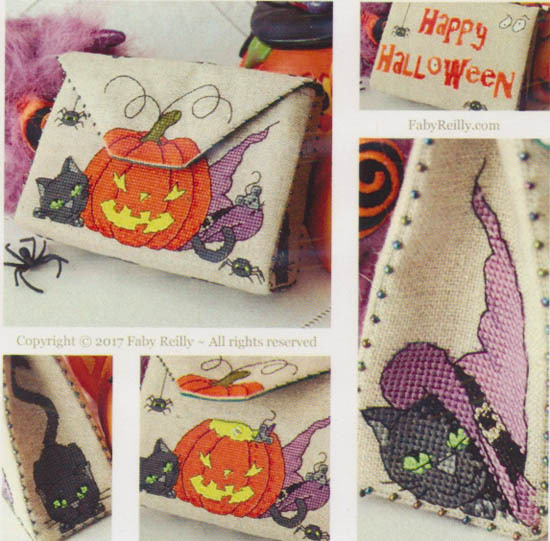 This adorable Halloween purse is stitched on the front, back and both sides with three little cats, a pumpkin and Happy Halloween! Model stitched on 32ct Raw Linen or opalescent raw linen. Count: 208 x 94. Finsihed size: 13 x 6 inches.